From dragons to turtles, Blizzard has it all. In World of Warcraft, mounts allow players to ride atop horses, hulking beasts, and undead dragons in order to navigate the game world. Mounts were generally one of the more expensive items in the game, but as time has gone on their prices have been reduced to give players easier access. Even so, many are only accessible through certain drops, quest content, or achievements — which is why many view them as collectors’ items within the game. Some more than others, though. Most of the basic mounts are available through purchase in-game, while many others can be purchased through the in-game store with actual non-virtual money or obtained through promotional events with other Blizzard games. But were going to focus on some of the rarest and most significant mounts in the game obtainable through drops or completing achievements. When World of Warcraft’s Burning Crusade expansion launched, the Raven Lord was one of the most highly sought mounts in the entire game due to its unique model and dashing looks. This mount is still highly regarded today as one of the best in the game, but you’re going to have to farm the heroic version of Sethekk Halls to obtain it from Anzu. It has a relatively low drop rate of 1.7% but thankfully you can run through the instance once per day. Still regarded as a mark of honor, the Netherwing Drakes were first released during the Burning Crusade expansion. These drakes feature an almost transparent wingspan mixed with neon colors, of which many different patterns are available. In order to obtain one, you’ll have to go through one of the most difficult reputation grinds in World of Warcraft’s history with the Netherwing faction. 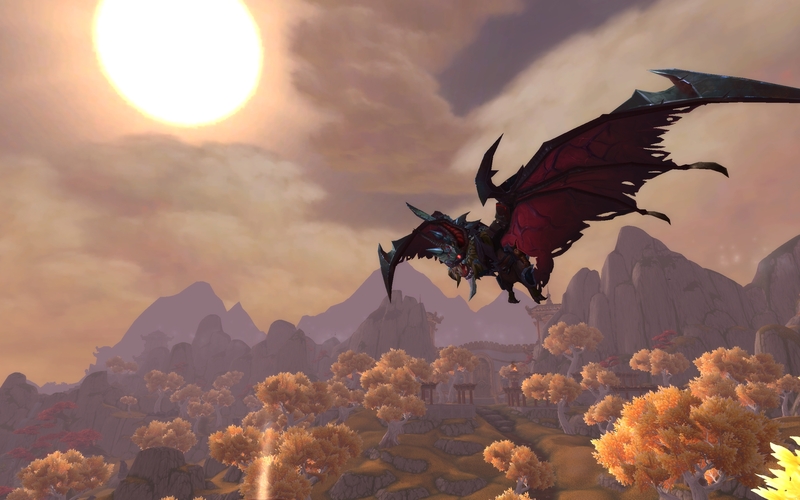 Once exalted, you can pick out one of these beautiful drakes for free — each subsequent one costs 200 gold. Invincible was the mount of Arthas Menethil during his earlier years, serving him until the two were caught in a blizzard that wounded the creature and forced Arthas to drive his sword through the horse’s heart to end his pain. Once Arthas became the Lich King, however,, he returned and used Frostmourne to raise the horse from his grave to serve him once again. You get one shot at Invincible each week by killing the Lich King in heroic 25-man Icecrown Citadel. Good luck, though, because it has a drop rate of 1%. Added in patch 6.1 during Warlords of Draenor, Voidtalon is one of the trickiest mounts to obtain because it’s solely based on luck. The mount can be obtained by going through purple portals that spawn in level 100 areas around Draenor for a very short period of time. Once you’re in, you’ll have to loot the eggs of a dead Voidtalon and get out with your mount. Modeled after the undead faction horse mounts, the Deathcharger features a unique purple scheme to match its master Baron Rivendare — a Death Knight in service to the Lich King. Despite being around since vanilla World of Warcraft, this mount is only owned by 19% of WoW’s players due to its low 0.8% drop chance. Currently you can farm it off of Lord Aurius Rivendare in Stratholme. The Felfire Hawk is one of my personal favorite mounts in World of Warcraft. Made of felfire, the hawk is actually deadly to touch, but it chooses to suppress its flames in order to keep its rider alive. While it doesn’t have a complex quest or raid to navigate to obtain, you will have to accumulate 250 mounts in order to get the Mountacular achievement. This mount holds extreme significance within the World of Warcraft community due to its association with Ezra Chatterton. Ezra was a brain cancer patient from California who used to play the game with his father and, through the Make-A-Wish Foundation, was able to fulfill his dream of creating a character for the game. During his visit he worked with Blizzard Entertainment to make a quest before being the first player to obtain the Ashes of Al’ar mount from Jeff Kaplan. Ezra suffered a stroke in August of 2008 and passed away a few months later on October 20, but endures through his quest and the Ashes of Al’ar mount — which you can still obtain by defeating Kael’thas Sunstrider in Tempest Keep.